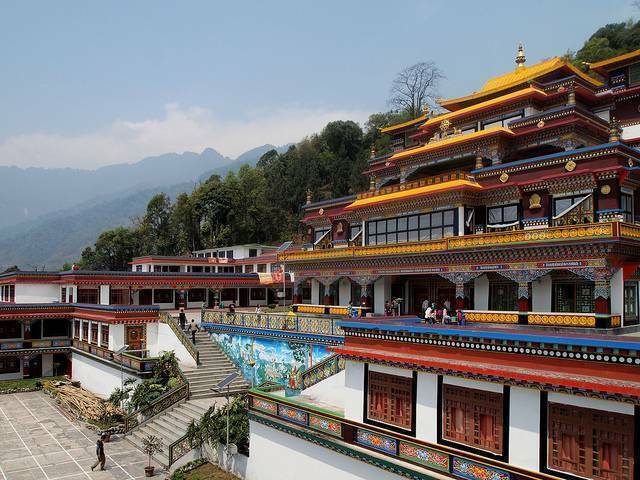 Located 20 kms away from Gangtok, Ranka Monastery or Lingdum Monastery or Pal Zurmang Kagyud Monastery is a striking place of worship built in the typical form of Tibetian architecture. It’s a training centre of young lamas with a serene but somber ambiance. The Re Khola River flowing swiftly by its side becomes one with Rani Khola soon after crossing the monastery. The holy Gharwang Rimpoche presides over this exquisite place of worship. Adorned with bright symbolic frescoes, the monastery lights up even more before Losar when the exotic Lama mask dance is performed by the inmates of the sanctum here. It’s bound to make an impression on the mind. Even the most unenthusiastic set of travellers are bound to be excited when faced with such a magnificent cultural treat. It’s a sight to see and sound to feel. Yes, feel because the river seems to have a voice that enters the mind and remains there for a long long time.